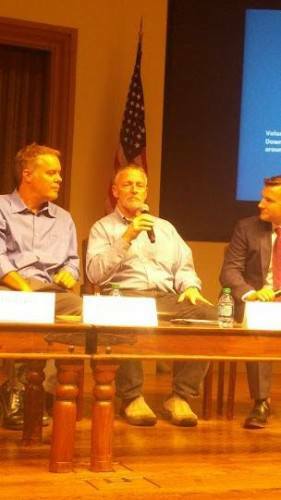 September 3rd marked our Second Annual Good Neighbor Dialogue at the University of San Diego. 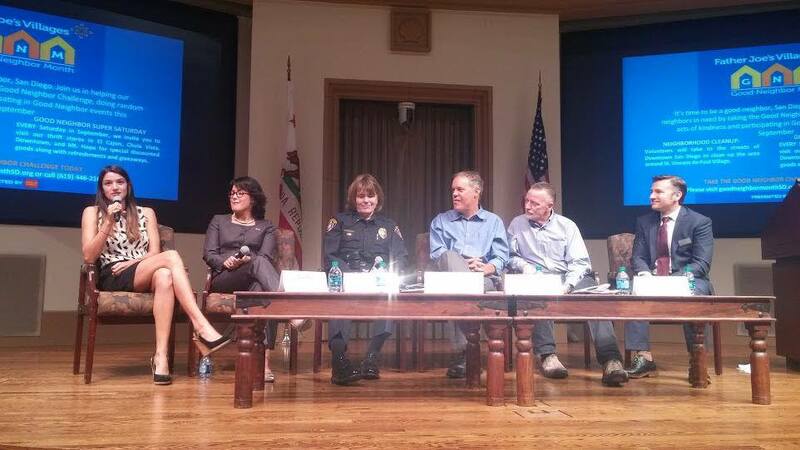 We gathered with the Trans-Border Institute, The San Diego Police Department, Fundación Gaia and USD to discuss the connections between homelessness, drug addiction and the contentious relationship between the United States and Mexico. 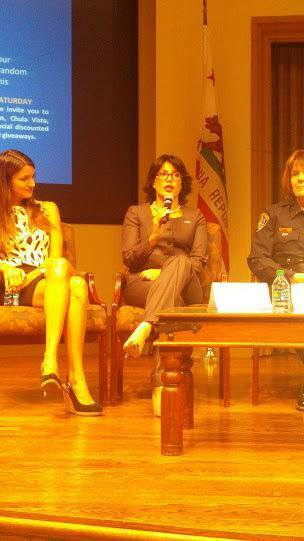 Darinka Carballo, Director, Fundación Gaia, Tijuana, B.C. Dr. Everard Meade opened the discussion by introducing the issue of homelessness and addiction pertaining to San Diego and the border. He stressed that there has been a significant rise in homelessness both in the U.S. and Mexico, correlating with the dramatic rise in addiction. Dr. Meade concluded that this drug addiction is one of the consequences of homelessness. Ruth Bruland continued by drilling deeper into the stats and issues of homelessness. She confirmed Dr. Meade’s comment on the rise of homelessness in the U.S. as it has risen from 8,500 to 8,700 in the last year. 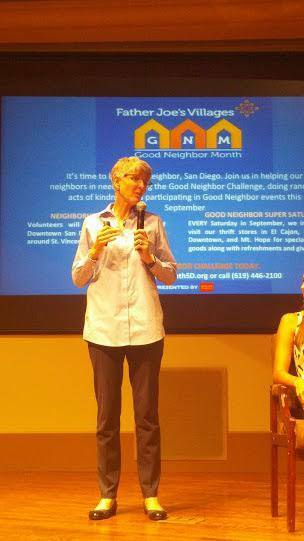 She also explained how Father Joe’s Villages addresses the homelessness problem in San Diego by not only providing housing but also services such as job skills education, health and mental care, meals and more–all individually tailored to each homeless neighbor’s situation. Dr. Folsom talked about the St. Vincent de Paul Village medical clinic’s approach toward addiction. Since the chronically homeless individuals are not in the position to completely give up the abused substances, Dr. Folsom and his team have a harm-reduction approach that allows an individual to abuse less instead of going “cold turkey,” which sometimes produces much more harmful setbacks. Marc Stevenson shared his experience working with the chronically homeless individuals through Father Joe’s Villages’ Project 25. Marc mentioned that the first key to helping these chronically homeless individuals is to provide them housing, along with preventative care. The focus of the project is to reduce the harm in increments rather than altogether at once. This produces remarkable results not only for the homeless individuals but also for the community. In a period of three years, all of the project’s participants successfully completed the program. This resulted in $4.5 million savings to the community medical services since the chronically homeless individuals are the biggest abusers of the emergency services. 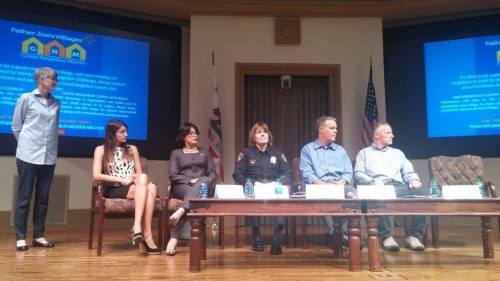 Lt. Ferrar supported Marc and Dr. Folsom’s approach by sharing her experience working with the homeless individuals directly on the streets. One of her experiences was with a client who has been a very frequent abuser of emergency services. The client visited the emergency room 110 times in one year, resulting in $205,000 worth of fees in just transportation. Lt. Ferrar stressed that homelessness is not a crime. Her team does not arrest the individuals on the streets. If a homeless person seems very intoxicated, Lt. Ferrar’s team brings him or her into detoxification facility. They also work with our Project 25 to help these chronic abusers get off the streets. Discussion’s special guest from Fundacion Gaia, Darinka Carballo, talked about the issue of homelessness in Mexico and our border region. She mentioned the canal has been a place for the homeless in the border. Her team learned a lot about these homeless individuals when they were still there. Most of them were recent deportees, with health issues such as HIV. Unfortunately on March 1, Mexico’s officials closed the canal and sent the homeless to nearby rehab facilities in Mexico. Darinka mentioned that the facilities are not healthy places for these type of individuals. Mexico desperately needs a center like St. Vincent de Paul Village to address each homeless person’s problem individually. Maria Silva of the USD faculty concluded with discussion by inviting the students participating in the dialogue to the university’s Border Immersion Program. The program allows the students to interact with those directly affected by homelessness and gives a space to connect with the like-minded students.